Espanyol will take to the field against Leganes on Friday as the La Liga action returns after a winter break. Espanyol will take to the field against Leganes on Friday as the La Liga action returns after a winter break. The former is currently placed at the 14th position, while opponents Leganes is at 16th. The hosts currently holds a record they would rather do without – longest losing streak in the current season of La Liga. The Catalan side displayed a slightly better performance but-only to lose against Atletico Madrid 1-0. The other losses have all been by bigger margins. Visitors Leganes are at a better position. After battling to stay out of the relegation zone at the early stages of the competition, the club has had some positive performances which has given their players and supporters a much-needed boost. They will look to capitalise on the same when they take on Espanyol. What time does the Espanyol vs Leganes match in the La Liga 2018-19 season start? TheEspanyol vs Leganes match in the La Liga starts at 1:30 AM IST, 4th January. (Friday late night). Where is the Espanyol vs Leganes match in the La Liga 2018-19 season being played? The match in the La Liga is being played by at the RCDE Stadium on Saturday night. Which channel will telecast the Espanyol vs Leganes match in the La Liga 2018-19 season? Espanyol vs Leganes match in the La Liga will be telecasted on Sony ten network. How to watch the live streaming of Espanyol vs Leganes match in the La Liga 2018-19 season? 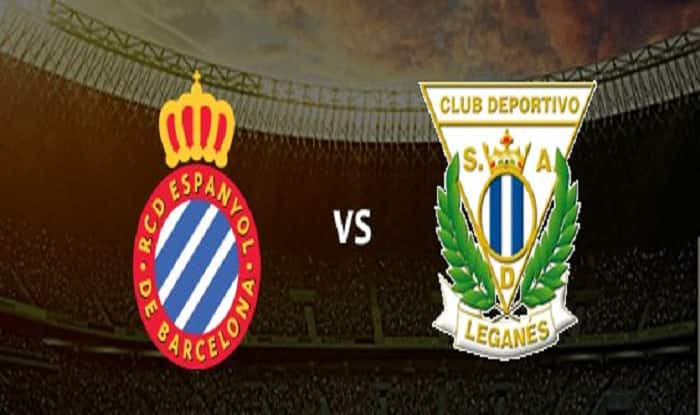 The Live streaming of Espanyol vs Leganes match in the La Liga will be available on La Liga’s official Facebook page.